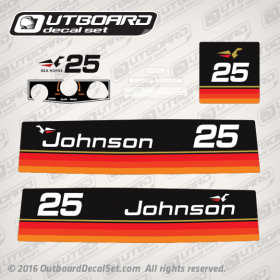 Johnson 25 hp Electric decal set for 1974 Outboards. 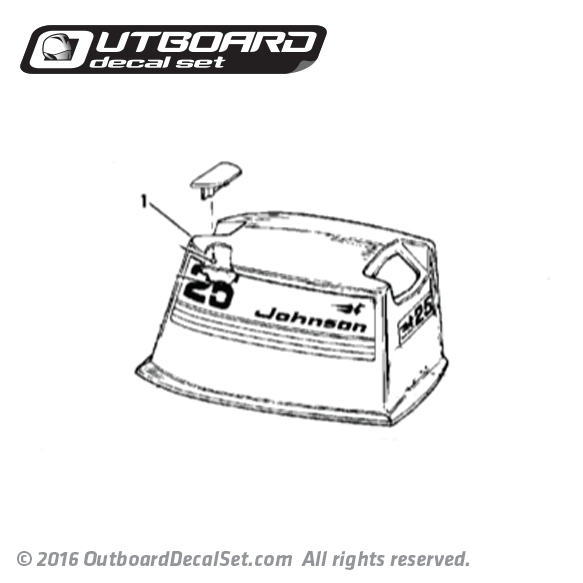 Referenced Part number: 0386527. 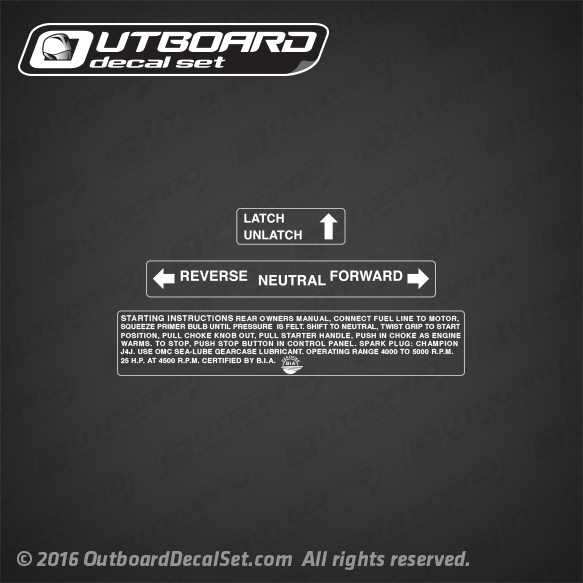 Operating decals is Printed over clear vinyl with White Inks.